Dragon Quest Heroes II (game, 2016). A hack-and-slash video game by Square Enix, Inc. Developed by Omega Force, Square Enix, KOEI TECMO GAMES CO., LTD., Koei Tecmo Games. Official Trailer. 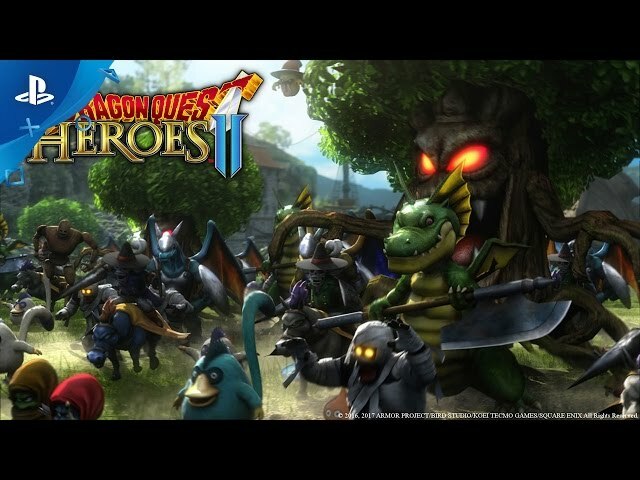 Dragon Quest Heroes II is a hack-and-slash video game by Square Enix, Inc., developed by KOEI TECMO GAMES CO., LTD., Koei Tecmo Games, Omega Force and Square Enix. 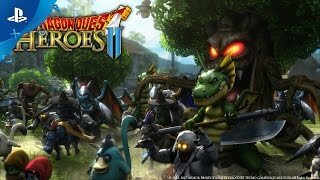 DRAGON QUEST HEROES II - Announcement Trailer | PS4. The story takes place in a peaceful land of seven kingdoms. Suddenly, as though enchanted by an ancient prophecy, the kingdoms wage war. The heroes from different kingdoms band together to restore peace to their torn continent. 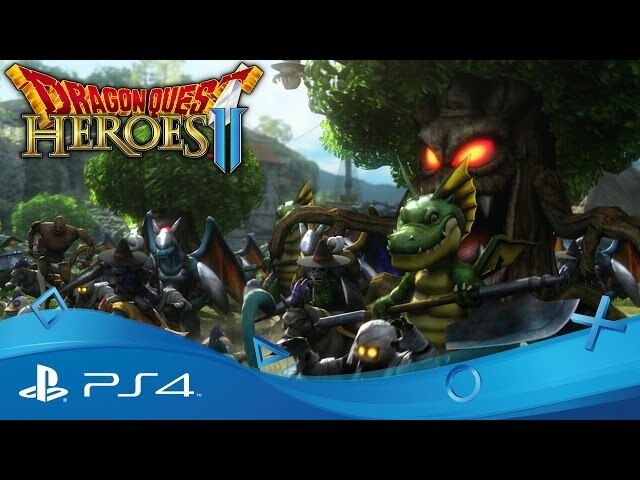 Dragon Quest Heroes II mixes the hack-and-slash combat of Koei Tecmo's Dynasty Warriors series of video games with the characters, monsters, universe, and lore from Square Enix's Dragon Quest series. The game is heavier on the RPG elements than most of Omega Force's other titles. World exploration was changed to resemble the typical Dragon Quest experience. Players can move their party to visit towns, wander the world map and initiate battle stages (similar to dungeons). Seamless random monster encounters may break up the pace between locations. Special ingredients and treasure boxes can be discovered across the world map. Weather can fluctuate and affect the party's status. Rainy days inflicts a curse ailment on the party during battle. Dragon Quest Heroes II was scheduled to be released by Square Enix, Inc. on May 27, 2016, on March 3, 2017, on April 25, 2017 and on April 28, 2017. This video game is available for the following platforms: PlayStation 4, PlayStation 3, PlayStation Vita, Microsoft Windows and Nintendo Switch.